I would like to introduce you to my friend Cindy. Cindy and I met at a Bible Study we did years ago and like most people keep in touch via facebook. I knew she was crafty when she gave one of the gals in the group a completed scrapbook album for her new baby that was gorgeous! I saw one of her recent postings about these felted pumpkins and fell in love! I adore the expression on them. They have so much personality! She's here to show us how she made them. For the beginner, you need to get a felting needle, a styrofoam pad, some wool roving, and a pattern or an idea of what you want to make. 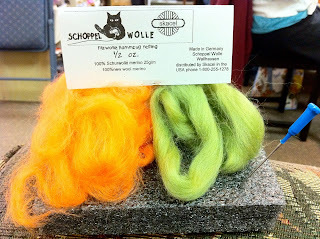 Wool Roving comes in any color you could possibly want. The felting needle is a special needle that has little barbs on the end that help the fibers stick to themselves. They also come in several sizes - so far I have only used a size 36-gauge. 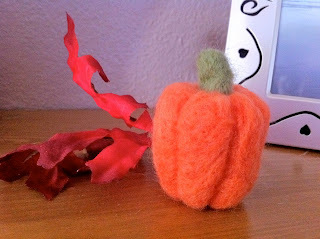 To form the pumpkin, I took about .25 oz of my wool roving and rolled it into the basic pumpkin shape. Then carefully, take your needle and begin to "stab and roll" the fibers. 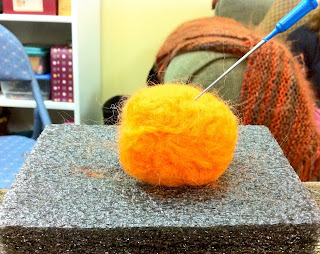 Because of the special needle the fibers will begin to stick to one another and your shape will begin to get smaller. The more you stab, the more compact and solid your shape will become - the less you stab the fuller. Make sure to stab the top where you attach the stem and the bottom so the pumpkin will sit. This picture is to show the "actual size" of my pumpkin. 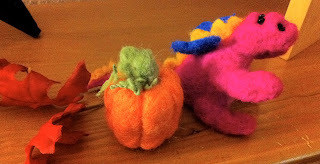 Since pumpkins come in all different shapes and sizes, the size for this project doesn't matter. Now I've added the pumpkin ribbing. This is achieved by stabbing the pumpkin in a concentrated area. Just keep stabbing in a line to get the ribs. Again, it doesn't have to be perfect. The more imperfect the better!!! The finished, ribbed, pumpkin took me about 45 minutes to an hour of stabbing. Next I attached the stem. Taking a smaller piece of the green wool roving, loosely form the stem shape and begin stabbing, being careful NOT to stab your fingers!! I've done this a lot, however I think it's part of the fun! 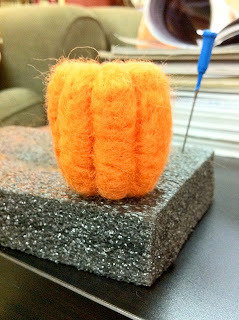 To attach, take one end of the stem and begin to stab it into the top of the pumpkin. Stab around the edges of the stem to get it good and secure. I attached a leaf as well as some vines. The vines are just twisted, and twisted, and twisted with spit and glue. The dragon is my latest project so I had to add a picture of him! Thanks so much for joining us Cindy! Woo hoo! 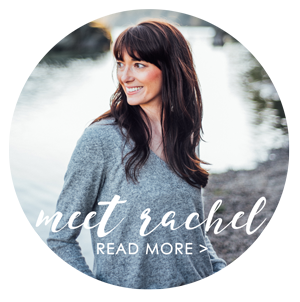 My wife is published... The pumpkins are really nice looking in person. She does a great job on them. Oh whow, thanks for this! I recently realized that I seriously want to try needle felting, this is a lovely introduction! Those are ADORABLE!! 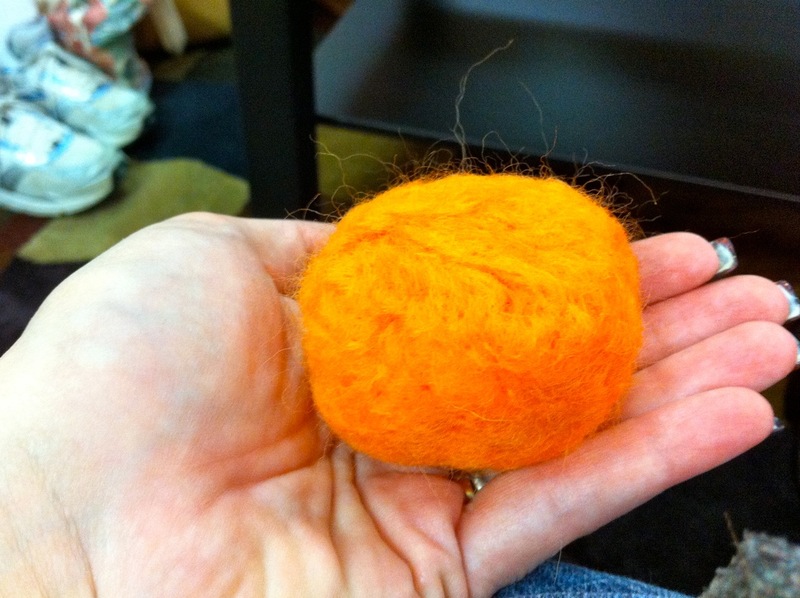 I so want to try needle felting! Thanks for demonstrating! Ah I love this! I actually saw felting supplies at the craft store the other day and had to drag myself away!! This is adorable! I think it is a little out of my league but very cute! Thanks for sharing! Wow. These are too cute. I love the face!! Thank you for the tut! Great job on the face. A lot of personality. 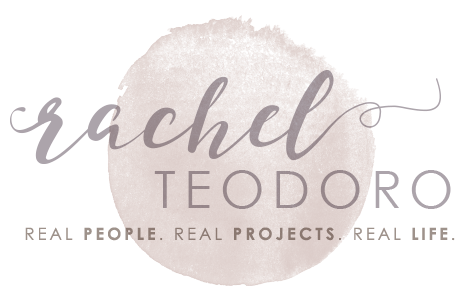 Thanks for sharing the how to and making it loo do able. So cute! Great decorating idea!! Great idea! I love the one with a face! These are so cute! Thanks again for linking up with While He Was Napping! Love the cute face on your pumpkin, what a clever project. I have to learn how to felt and soon, this is too cool. These are totally adorable!! I haven't felted in so long, this makes me want to do it right now! What a unique and new idea for me! I love it! I love the face on the pumpkin best of all. These are darling.